Having historically been an industrial city, Łódź is mostly shunned by tourists in favor of the more popular Polish cities, Krakow, Warsaw or Wroclaw. There are, however, many fascinating and beautiful things to see in the city, whether you prefer shopping, visiting parks or learning more about the city’s history. Here is our selection of the 10 best places to visit in Łódź. If you enjoy both shopping and history you should definitely come to Manufaktura. The shopping center is located in the beautiful brick buildings of the former 19th-century industrial estate that belonged to the textile magnate Izrael Poznanski and is well worth a tour. There are 240 shops and boutiques to browse through as well as many restaurants, a cinema, pubs, hairdressers, theaters, a fitness center, a bowling alley, a laser game center, and an interactive museum of science and technology. The Museum of the Factory can also be found here, which details the history of the former industrial estate and the textile industry in general and is fun for all ages. Over 160 000 people are buried in Łódź’s largest Jewish Cemetery which was established in 1892. Its charm lies in the half-derelict state of the cemetery which is still being renovated. The beautiful stones covered with Hebrew sayings and symbols are half hidden between trees or covered in moss. 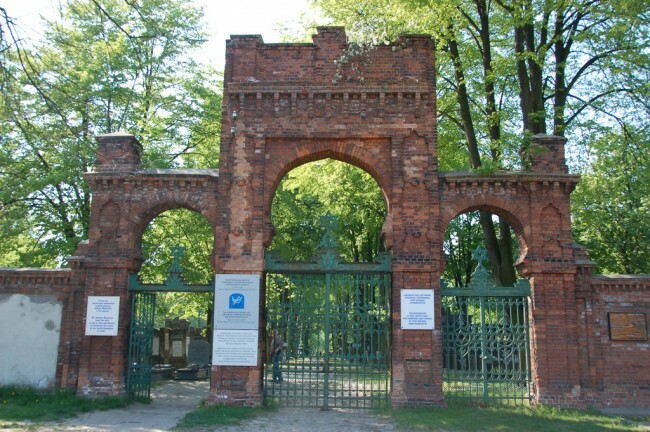 One part of the cemetery called the ‘Ghetto Field’ is reserved to the 43 000 victims of the Holocaust who were living in the neighboring ghetto ‘Litzmannstadt’, one of the largest in Poland. You can still visit the ghetto, and the former Radegast Station House is now converted into a museum. In this sad historical site time seems to have stood still. This large mansion is situated next to a lovely little lake. It was built by the city’s biggest industrial families, the Scheiblers and the Herbsts, in the 19th century. It can be found adjacent to the industrial settlement Księży Młyn, which was a housing complex for the people working for the Scheibler family in their spinning and weaving mills. You can still visit this fascinating area. The palace has been entirely restored to its original state. It is now owned by Łódź’s Museum of Modern Art and houses the Old Masters Gallery which exhibits Polish and European artists from that era. This incredibly colorful cathedral really stands out in the heart of Łódź. 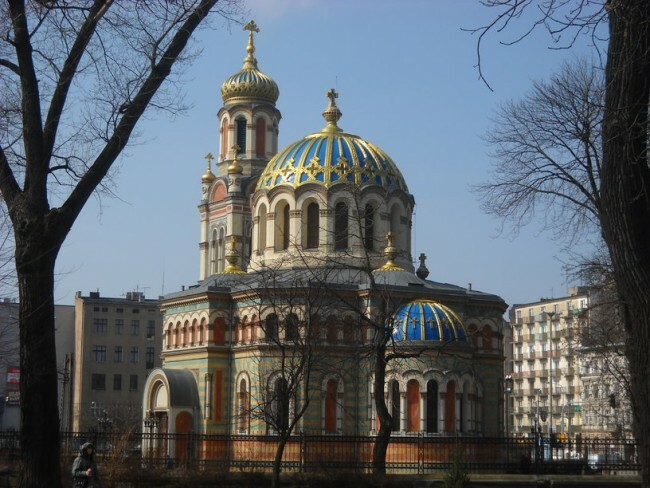 It belongs to the Orthodox church and was built at the end of the 19th century. The Cathedral was financed by the most prominent factory owners at that time, Karl Scheibler, Izrael Poznanski and Luliusz Kunitzer (none of whom were actually Orthodox Christians), to celebrate the miraculous survival of Russian Emperor Alexander II from an assassination attempt in 1879. (Poland was a part of Russia at the time). Come and admire this beautiful, distinguished church. Łódź’s Musuem of Modern Art (or Muzeum Sztuki in Polish) is one of the oldest museums of Modern Art in the world and holds the largest collection of world art from the 20th and 21st centuries in Poland. It was founded by the a.r. group in the 1920s, a Polish avant-garde group of artists. Many exceptional artists, such as Max Ernst and Hans Arp, contributed works to the collection. It includes artwork from different streams of Modern Art like cubism, purism, constructivism and neoplasticism. Today the collection is divided into four groups with the themes: ‘body, trauma, prosthesis’, ‘construction, utopia, politicization’, ‘eye, image, reality’ and ‘object, fetish, phantasm’. This is a jewel of a museum. There are plenty of wonderful parks in Łódź in which to walk your dog, sunbathe or have a picnic. If you have time, try to visit all of them. If you have to pick, try Mickiewicza Park. 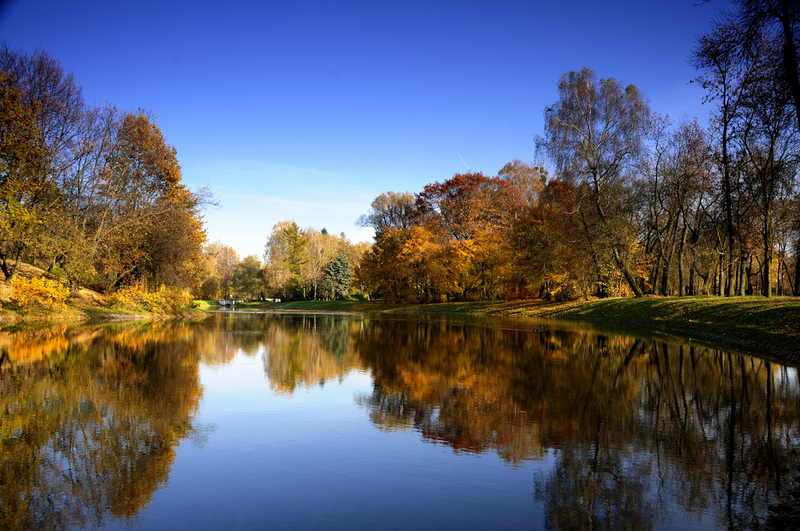 It is not too far from the city center and it boasts a large lake with an island and parkland area. You can spot many birds nesting here and the ducks will happily accept any bread on offer. There is a large amphitheater where you’ll occasionally happen upon concerts or plays during the summer. The park is also lovely in Spring when all the flowers are blooming. 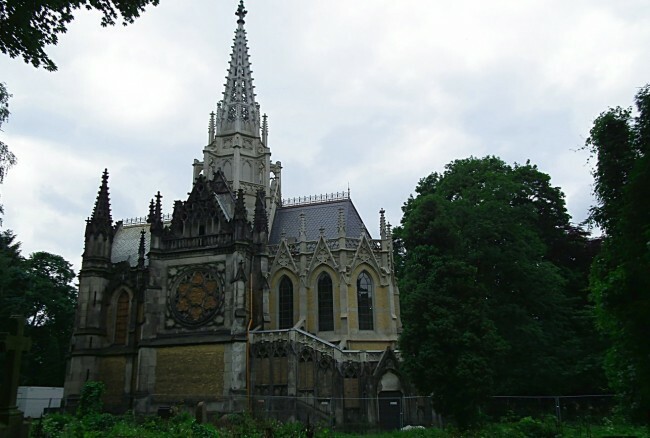 This mausoleum-like chapel was built in memory of Karl Scheibler, an important textile magnate from the 19th century, and he and his wife are buried here. The architecture is characteristic of the neo-gothic style, and the chapel was highly praised as a fine work of craftsmanship at the time it was built. The chapel and the surrounding Old Evangelical-Augsburg Cemetery became quite derelict towards the middle of the 20th century, which adds to its charm even though the chapel itself has partly been restored. This is a magical place for a wonderful walk. 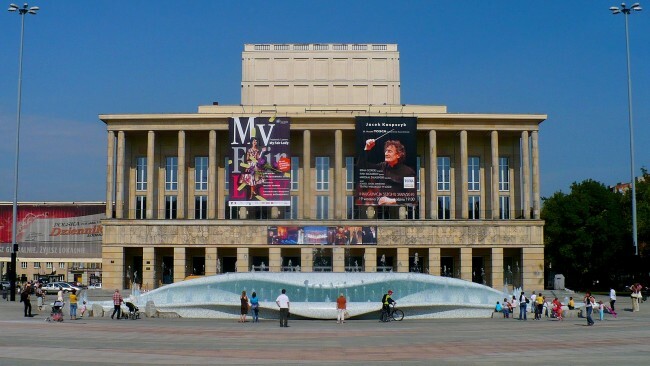 Łódź’s Grand Theater was founded in the 1950s under communist rule. It can still be found in the same location and the building is typical of that era. It specializes in opera and ballet although it also hosts choirs, orchestras, soloists and musicals. There is a ballet festival organized every other year and world-famous companies have performed here, such as Sadler’s Wells Royal Ballet and John Neumeier’s Ballet. The interior is modern and comfortable, and the acoustics are excellent. You are in for a good evening. 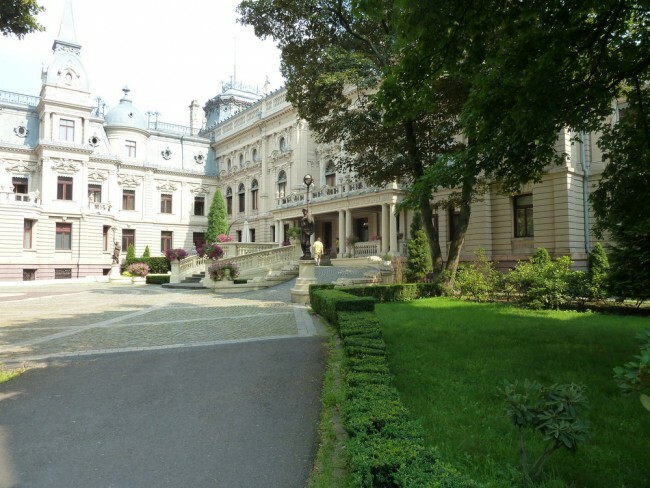 The Museum of the City of Łódź is housed in the beautiful Palace of Poznansky. Izrael Poznanski was a rich industrial businessman who owned a Cotton Products Company. The building has been home to a museum since 1975. The permanent exhibitions revolve around history, politics, music and art. There is ‘The Triad of Łódź’ exhibition that introduces the city’s three biggest communities: Jews, Germans and Poles, the Pantheon of Great Citizens of Łódź, Arthur Rubinstein’s Music Galler, and a collection of paintings by Jewish artists. The place showcases a fascinating history and fabulous décor. Piotkowska Street is the heart of Łódź, measuring five kilometers in length which makes it one of the longest commercial streets in the world. It stretches between Independence Square (Plac Niepodleglości) and Liberty Square (Plac Wolności), and along the street you can find the city’s best restaurants, bars and shops. This street also houses Łódź’s Museum of the Textile Industry as well as several wonderful, life-size statues of famous Łódź figures such as those of Julian Tuwin, a poet, and Arthur Rubenstein, a classical pianist.